“Before we opened the telepharmacy, if patients went to the clinic in Silverton they had to drive an hour to get their prescription,” said Brant Guthrie, RPh, Hometown Pharmacy. 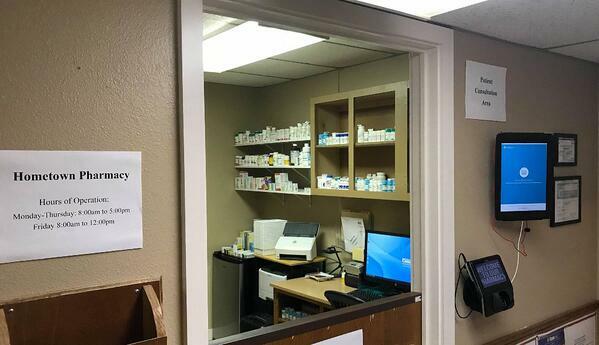 Brant facilitated the opening of a community telepharmacy inside of the Cogdell Clinic Briscoe County in Silverton, Texas on May 1, 2018. It is the first telepharmacy to open in the state of Texas outside of the state’s pilot project. Brant, the managing pharmacist, is located at the host pharmacy in Lockney, Texas, 32 miles away. From there, he will review medications and consult patients using safe and secure telepharmacy software. We sat down with Brant to discuss his journey into opening a community telepharmacy, what’s most important to him as a Texas pharmacist and pharmacy manager, and the pharmaceutical services he provides in his telepharmacy. Can you tell us the story of how you became a pharmacist? “Growing up, both of my parents were registered nurses so I grew up around the medical field,” said Brant, reminiscing on his childhood. What prompted your journey into opening a telepharmacy? What is a misconception about telepharmacy that you overcame once you opened the Silverton telepharmacy? What has been the experience of customers who previously lacked convenient access to medications? How has your business played a role in closing the gap in access and care in your community? Do people object to the technician being the lead in the building instead of the pharmacist? What services are available to patients in the Silverton telepharmacy? What role do you think innovation and technology play in the pharmacy industry - both now and in the future? “Technology is extremely important. Having software that can catch errors and help us do the drug utilization reviews (DURs) is huge for us. Technology is empowering the pharmacist to take care of more patients and improve the pharmacist role and visibility in healthcare, more people need to see the difference access to a pharmacist's knowledge and training can make,” said Brant. What traits are most important in hiring a great pharmacy technician? What is your competitive advantage with the telepharmacy? What habits make for a successful pharmacist? “Not letting yourself develop habits. If you get into habits, that’s when medication errors happen,” Brant said. Any advice for other people who want to open a telepharmacy? Brant is a great example of a Texas pharmacist taking initiative to help provide better access and care to patients who don’t have nearby pharmaceutical care. Eager to learn more about telepharmacy in Texas? Read our interview with Micah Pratt, the person behind Texas’ first community telepharmacy.